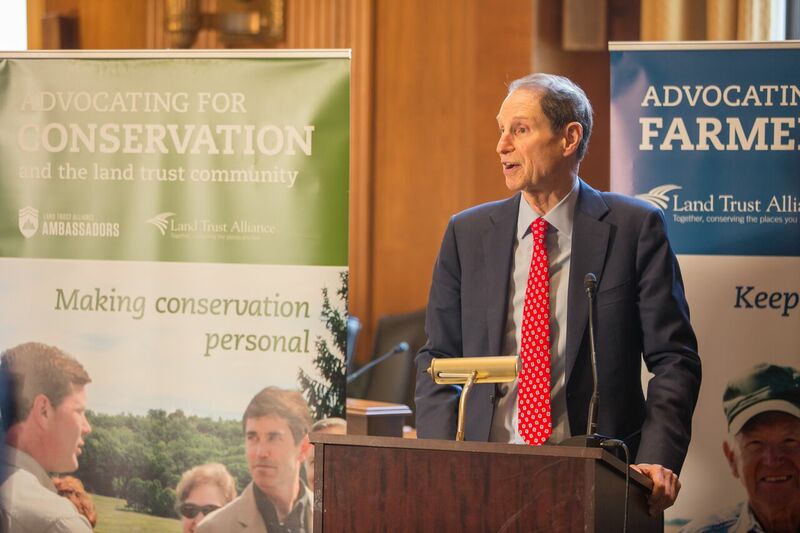 The Land Trust Alliance and its members are delighted following the U.S. Senate’s vote Wednesday to pass — for the first time — permanent authorization of the Land and Water Conservation Fund (LWCF). While our excitement is somewhat tempered knowing LWCF must still chart an uncertain path to President Obama’s desk, it is right to celebrate how far we have come together. Your advocacy and support of LWCF helped bring about this week’s milestone moment. And it is no coincidence that this vote came just days after Land Trust Alliance Advocacy Days concluded. (You can see visual highlights from that event, including photos with key senators, on our Instagram account.) Our visits to Capitol Hill last week gave LWCF more momentum. Additionally, it’s important to note several other items of importance to land trusts and conservation funding passed as part of the Senate energy bill that authorized LWCF. Senators codified the division of LWCF allocations 40-40-20 between federal purposes, state purposes and a combination of the two. They also guaranteed minimum annual funding for recreational access to public lands and created a separate fund to address backlogged maintenance. Lastly, the North American Wetlands Conservation Act will be reauthorized for five years at $50 million annually, and the Federal Land Transaction Facilitation Act was permanently reauthorized. Now our attention shifts to joint efforts between Senate and House leaders as they work to reconcile differences between the energy bills. Notably, the House bill that passed in December lacks similar LWCF language. This will complicate negotiations between the two chambers. This is why I ask you now to continue to fight for LWCF. Thank your senators for their vote this week and encourage all who represent you in Congress to keep LWCF in the final bill. Andrew Bowman is president of Land Trust Alliance.